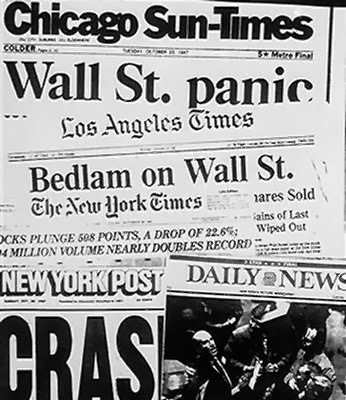 October 19, 1987 - Black Monday 26 Years Later: Could It Happen Again? 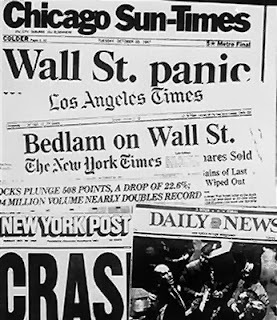 On this day 26 years ago the U.S. stock market fell over 22% in a single trading day. 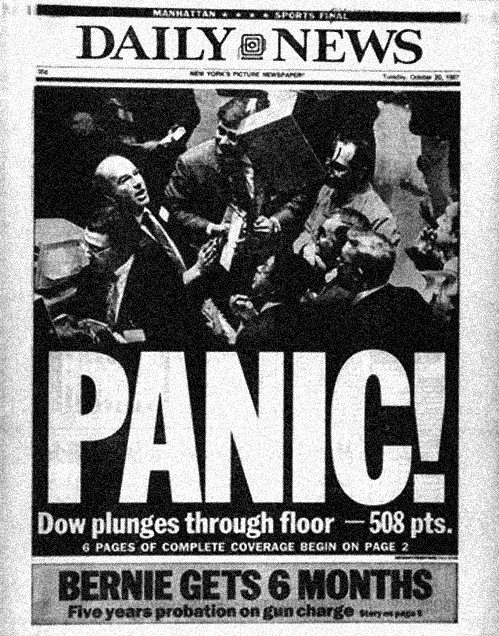 This was the largest one day fall in stock market history (by far). This is what the world watched that night as they came home and turned on the nightly news. A specific cause of the crash was never determined, but many investors believe that it was due in large part to a new trading strategy called portfolio insurance. 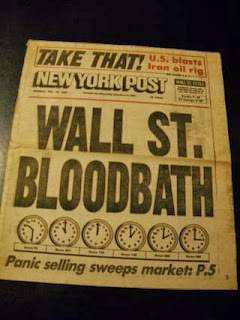 Automatic sell orders were set up to protect investors against losses should the market begin to fall. As the drop began, the portfolio insurance sell orders were triggered every step along the way causing a cascading collapse. In today's market, not only is that danger still there, it is far worse because of the use of high frequency trading. These machines, which dominate close to 70% of the trading in the markets on a daily basis, have the ability to turn off and walk away when things get troublesome. 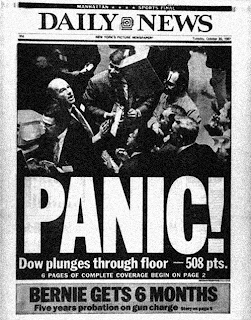 This was seen during the flash crash in 2010 when the DOW fell 1,000 points in a few minutes. 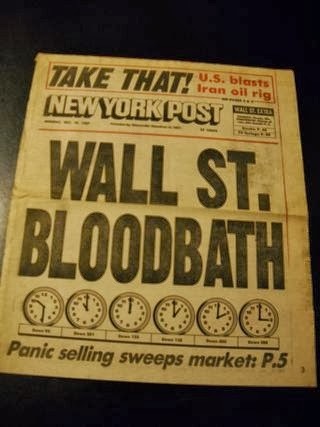 The first flash crash was a warm up and the next will be far larger. Why? No changes have been put into place since the first flash crash hit to protect the markets from another event from occurring. Understanding that it is coming is like understanding that a hurricane will hit the east coast, a tornado will strike the Midwest, or an earthquake will hit California. If all the physical elements are in place for an event to occur, then eventually it will. On a price to earnings ratio the stock market is far more overvalued today than it was in 1987 (see graph below). Optimism is at insatiable levels as the market (incorrectly) believes that it can never fall with the support of the Federal Reserve behind it. 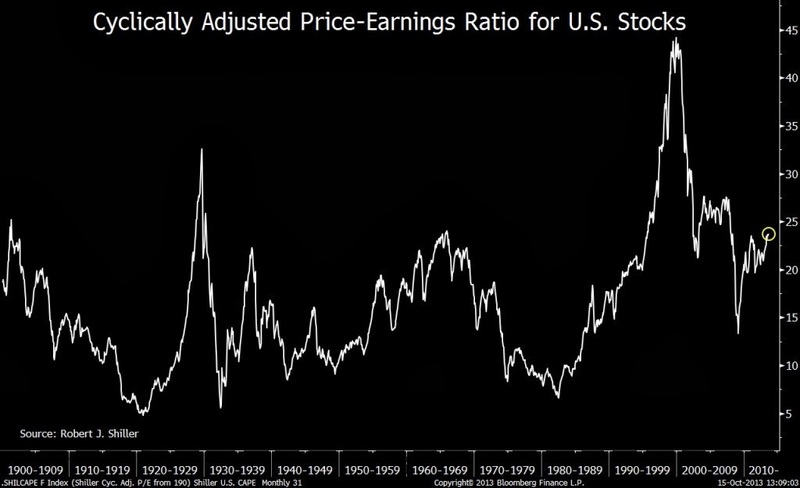 The first downdraft in the next (and what I believe to be final of this secular bear market) decline could be breathtaking.